Termites are a constant threat. They can be on your property or thriving in your home without any visible signs of damage. Termites, by their nature, must live underground and stay out of sight, even when feeding on above-ground wood. Damaging homes out of sight may seem smart, but with Sentricon®, you are smarter. Termites are discovered in more than 5 million homes on average each year in the United States. Unless you call Alaska home, your house is not safe from termite damage. The National Pest Management Association estimates termite damage costs U.S. homeowners $5 billion each year. How can they cause so much damage? A subterranean termite colony can include millions of termites, and the worker termites forage for food 24/7. Their food is the wood in your home: your floors, walls and ceilings. And a termite may only need a 1/16" space to pass through your foundation and reach the wood above. How do you know if you have termites? While it’s always best to have an inspection done by a pest management professional, termites will occasionally leave clues. If you do investigate, here’s what to look for. Termites often swarm in warmer weather and after a rain shower to start new colonies. The swarming event can be brief, so even if you do not see flying termites, you are likely to see the discarded wings around window sills, doors, heating vents, bathtubs and sinks after a swarm takes place. Termite swarmers use their wings to move away from their original colony. Their wings break off and they pair up and find locations with a wood source where the male and female can begin a new colony. Whether you see the swarm or think there might have been one, call a professional immediately. Foraging worker termites, the ones that eat wood to feed the rest of the colony, must stay in moist conditions and away from natural enemies like ants. To get across barriers between the soil and the wood above, termites construct small, meandering “mud” tubes from moist soil and excrement. The tubes are about the diameter of a pencil, though they can become wider. Tubes can be seen on foundation walls or inside walls, on plumbing pipes and spanning crawl spaces between the ground and the subfloor. 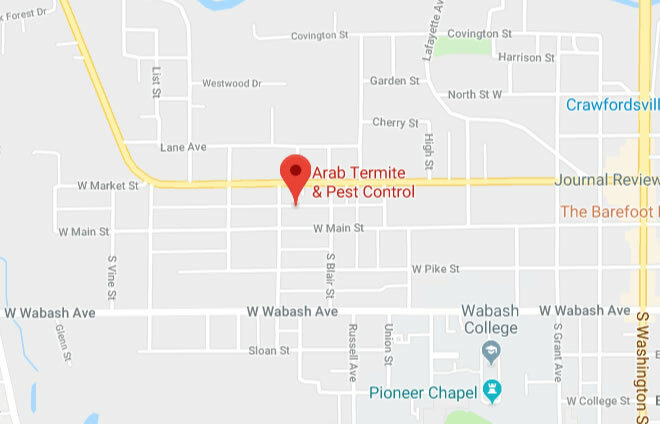 These termite highways are a sure sign termites are or have been in the home. Termites eat wood from the inside out along the grain, so damage often isn’t visible until it becomes significant. Termite inspectors often will tap to listen for hollow-sounding wall studs, baseboards and floors. If the wood gives way, it may reveal a hollowed-out honeycomb pattern. The wood also will include some “mud” similar to mud tubes, plus live termites. Formosan termites are an especially robust, destructive species with large colonies. Walls of infested buildings may contain carton nests that hold enough moisture to allow the colony to live entirely above ground, sometimes causing bulging walls. When building or remodeling in your home, keep an eye out for soft-bodied, light-colored insects about the size of a grain of rice. Termites avoid light, so they are seldom visible in open areas. Hollow wood in your home? Cracked or bubbling paint? Discarded wings? Learn how to identify the pests in your house. Is it an ant or termite? Swarming termites and ants look similar and are easily misidentified. The clearest way to distinguish them is to examine the wings (C). Termite swarmers have two sets of wings of equal length. The front pair of wings on a swarmer ant is longer than the back pair. There are other distinguishing characteristics: An ant’s waist (B) is narrower than a termite’s. And ants have a joint in their antenna (A), while termites do not. But here’s the biggest difference: Ants are usually just a nuisance. Termites damage your home. Workers make up the overwhelming majority of the colony because they are responsible for feeding it, including the queen. These soft-bodied, clear to light-colored termites are about the size of grains of rice. They rarely leave the dark, damp tunnels that run from the colony through the soil and into the wood of buildings. Workers continuously forage for food, maintain the nest and tend to the queen and her brood. Soldiers are the defenders of the colony. They have long heads and powerful jaws, and are responsible for colony defense against natural termite enemies such as ants. Male and female reproductive termites develop wings, leave the parent colony in a swarm, mate and start new colonies. Hail to the queen! She is the largest and most important colony member because she can lay eggs at a rate of one every second ― as many as a million eggs in her lifetime. She is large, up to 4 inches long, and can live for a decade or longer under ideal conditions. If she dies, a new queen will arise to take her place and keep the colony going.